Massarosa, in the province of Lucca and about 14 km away from Villa La Bianca, is a small town known for its wonderful natural environment. 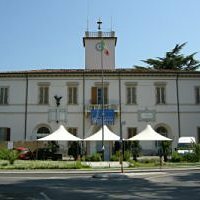 The municipality comprises sixteen villages that are distributed around the main town; among these are: Corsanico, a village whose origins date back to 150 BC, where on the first sunday of May since the 1700 an important religious festival is held; and Massaciuccoli, on Lake Massaciuccoli, the coastal lake of Versilia famous for having hosted the great composer Giacomo Puccini, who has long lived in a villa on the shores of the lake itself. Very nice to visit, the little town of Massarosa has in its territory several churches that are worth visiting, among which we highlight: the Church of St. James and Andrew, dating from the second half of the sixteenth century, in which are housed modern marble statues; the parish church of St. Pantaleon in Elici, a very ancient sacred building which houses important works of art; and the Church of San Martino in Bargecchia, where visitors can admire important paintings. In the territory nearby there are numerous villas, not always opened, among which we mention Villa Martellini in Piano del Quercione, one of the finest in the area. Massarosa also hosts some interesting museums such as the Antiquarium Museo in Massaciuccoli, with a collection of archaeological materials found in the area, and the Museum of the ecology of the marsh, housed in the Bird Watching Oasi of Massaciuccoli.